The DCU Brexit Institute will organise a number of events outside of Ireland, in partnership with the Irish Embassies, in a number of EU member states to promote a debate on issues of shared European interest like Brexit and the future of the EU. 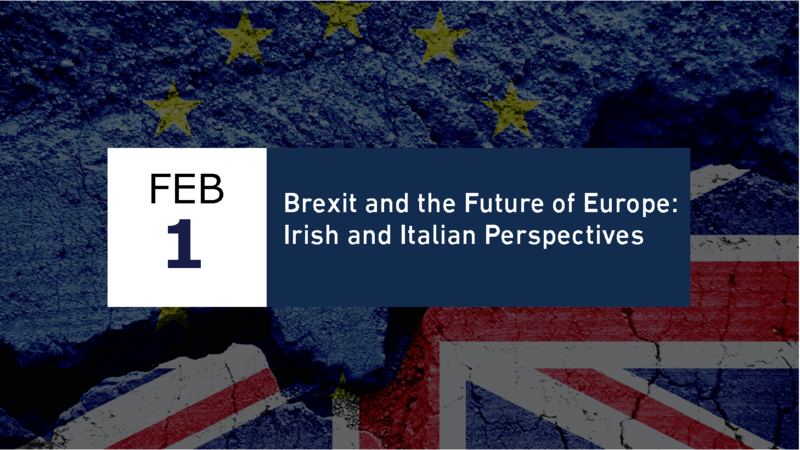 The first of such event, on “Brexit and the Future of Europe: Irish and Italian Perspectives” took place on 1st February 2018 at the Irish Embassy in Rome, and was opened by the host, Colm Ó Floinn (Ambassador of Ireland to Italy). The event featured the keynote speech of Sandro Gozi (Italian Minister of State for EU Affairs) and the interventions of Brigid Laffan (Director of the Robert Schuman Center for Advanced Studies at the European University Institute), and Michele Valensise (President of Villa Vigoni – Italian / German Center of European Excellence and former Secretary General of the Italian Ministry of Foreign Affairs).